Cider recipes and the character of the cider made depends mainly on the apple mix used. The trend has moved to softer, sweeter ciders, smooth and easy to drink so the bittersharp apples are not commonly used today. There is also a trend to use only one variety of apples for making "single variety cider". 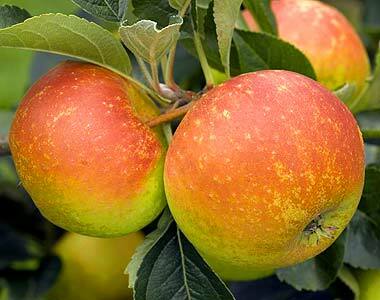 Obviously, not all cider apples will work as the single component in a cider but some of the popular ones that will are Yarlington Mill (Medium Bittersweet mid season harvest), Dabinett (full bittersweet mid/late season harvest) and Kingston Black (Bittersharp, mid/late season harvest). Ashton Brown Jersey, Browns Apple, Dabinett, Fillbarrell, Morgan's Sweet, Somerset Redstreak, Tremlett's Bitter, Camelot, Court Royal, Crimson King, Hockings Green, Porter's Perfection and Red Jersey. When planning the orchards - it is of course important to choose varieties which will ripen simultaneously if they go into the same cider recipe. This is why cider orchards are different for different growers and manufacturers. Cider kits (homebrew cider) are now readily available from specialist suppliers such as Hambleton Bard Ltd. The most popular brands on the UK market (available in most home brew shops) are Magnum (apple cider, pear cider, elderflower cider, strawberry cider), Black Rock (high quality kit from New Zealand) and Finlandia, an apple/pear mixed cider kit.